Cottage holidays are a wonderful way to escape from your busy lifestyle and return to nature if only for a while. The benefits of a holiday cottage include staying in the countryside even if you are normally near to a town or village and no big city is too far away. Relax and unwind in the fresh air walking, or rambling as the English like to say, around villages and picturesque countryside. A cottage and country holiday has it all you just need to decide where you want to go and which holiday cottage you wish to stay in. Holiday cottages are good value for money as well as most cottages have self catering if you wish to prepare a few meals at home. Cottages are great for family’s where you can enjoy your home away from home with all the comforts that you just cannot find in the average hotel room. Renting a pet friendly cottage also allows you to take your pet along for a holiday too. If you have never been on a cottage or country holiday before why not give it a try. Instead of a fast paced city holiday come and enjoy the countryside, unwind and relax or try a painting course or a cooking course all in the glorious countryside. If that not enough why not try sailing, horse riding, walking or rambling, cycling, fishing or rent a narrow boat for the day. When you are done you can come home to your welcoming cottage, your home away from home, your little piece of history…if only for a while. This is your guide to cottage holidays in England, Wales, Scotland and Ireland. In these holiday guides I will help you to discover the best of the countryside, the best villages, Inns and pubs, the most beautiful country cottages, the best restaurant’s serving local seasonal fare, the best farmers markets and local food, fun country festivals, and the best shops and resources for living the English cottage lifestyle. 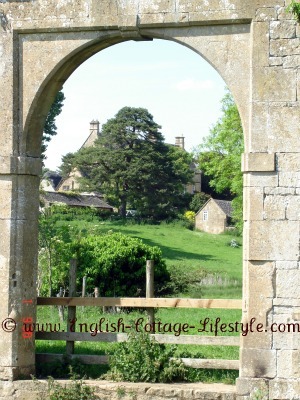 English Cottage and Country Holidays: ECL Guide to English Holidays. Welsh Cottage and Country Holidays: ECL Guide to Holidays in Wales. Cottage and Country Holidays in Scotland: ECL Guide to Scottish Holidays. Irish Cottage and Country Holidays: ECL Guide to Holidays in Ireland.